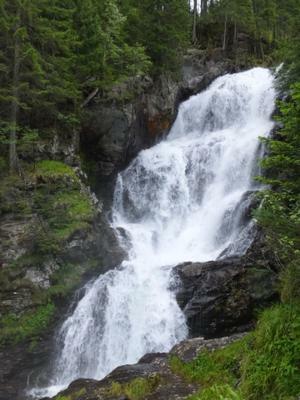 The 140m Riesachfall is located near the ski resort of Schladming and is on the Wild Waters hiking trail. The fall is in two sections the lower fall is only a ten minute walk from the car park which is located at the end of a toll road. 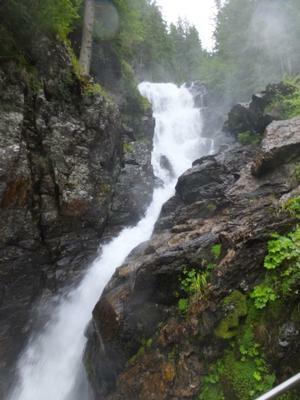 You can then hike up a steep path with lots of steps to the upper fall. 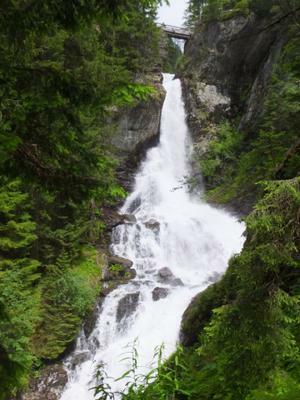 There is a wooden bridge that crosses the top of the fall giving a spectacular view. 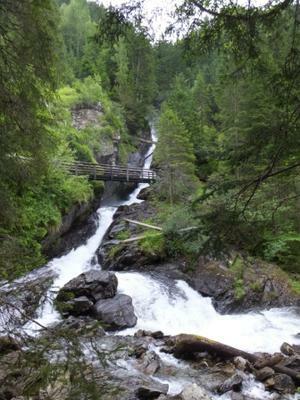 For those seeking a bigger thrill the trail continues ever steeper into the ‘Hell Gorge’ by means of metal stairs and walkways and a 50m swaying suspension bridge high over the gorge, not for those of a nervous disposition!